With the July school holidays just around the corner, a cross-country drive is on the agenda for many families. Whether you’re taking the kids for some quality time with the grandparents or bringing the them along on your much needed beach-break, you’ll have to get there first. And our country’s size means getting from one city to another can take a long time. Road trip music goes without saying, but take a few CDs that your child enjoys too and encourage a sing-along. Snacks are another age old road trip essential, but consider what you take. We all eat when we’re bored so take a variety of snacks to keep your little ones interested in this distraction. Be sure to avoid sugar-loaded snacks, though a sweet treat or two might be a good bribe. Snacking gets messy, so don’t forget wet wipes and paper towels. A great idea, also bribery, is to pack small, cheap, wrapped trinkets, like party favour toys. If you give your child one every hour or so, it’s a good short term incentive and a great way to break up the drive into parts. Besides these “gifts”, their favourite toys, books and games should be in the car. Take water instead of juice. They’ll be less likely to drink out of boredom in that case, meaning fewer bathroom breaks. Stopping regularly should still be part of the plan. This is not only to let the kids burn some energy, but because drivers should always take regular breaks on long trips. A small first aid kit is handy, not for anything serious, just to quell disruption of a headache, stomach cramp or small cut. Even if it seems excessive, putting all their bedding in the backseat can make it a much more comfortable and homely feeling. Hopefully, they’ll sleep off the trip if the backseat feels like bed. Safety, even if it’s tempting to let your child lie down, don’t ever let them take their seatbelt off. A short while of quiet isn’t worth their life. To some, catering to a child this much might seem like spoiling them, but five hours into a drive you’ll do anything to keep them quiet. It’s actually a matter of safety: keeping them distracted means you won’t be, so you can keep your eyes on the road. But if these tips don’t work, don’t let them distract the driver and make sure they understand the importance of this. Also never let them take their seatbelt off, as mentioned above. If you’re finding these last two points difficult, and if there are two adults in the car, one of you should get in the back seat. This can keep whatever the kids are up to isolated to the back, make them feel like they’re getting more attention and keep you in control a bit more. 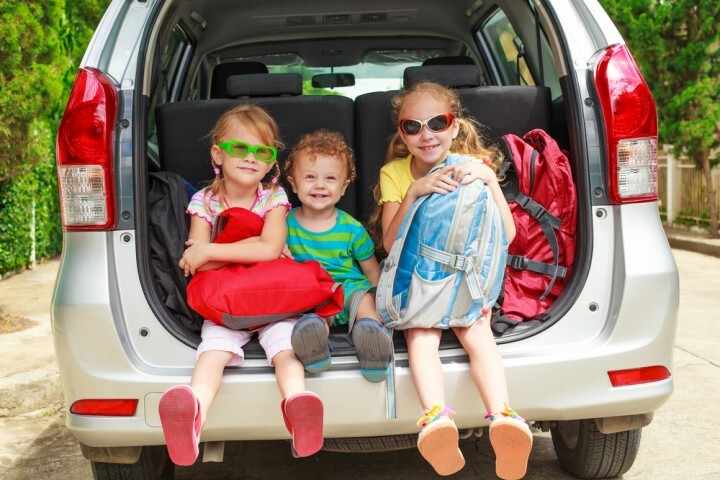 For more information on travelling safely, particularly in regard to child seats, read an earlier article here.